Photo de stock - Aerial view. The oyster road between Le Château and Boyardville signposted ' Route des huîtres ', winds between channels, oyster huts and claires. Chenal d'Ors. Le Château town. 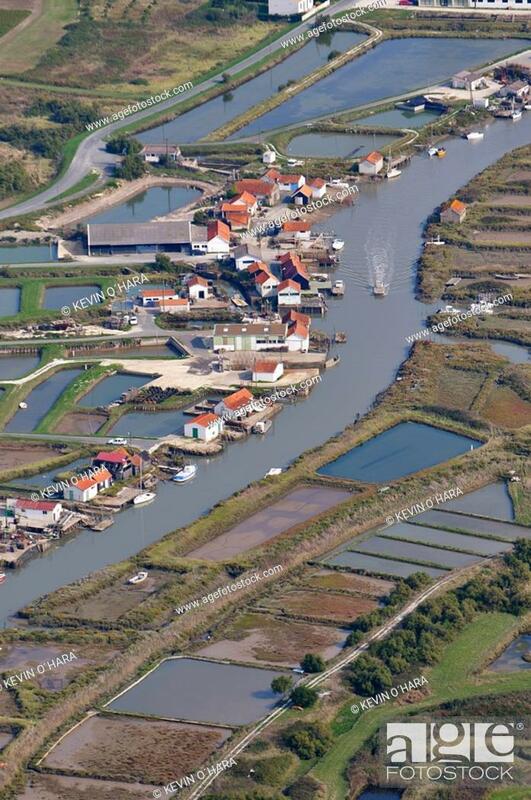 Island of Oleron ... . Charente Maritime. France.